Get up to 7 free auto shipping quotes from the largest, most trusted Ohio auto transport companies and save up to 50% on your car shipping rates at CarMoves.com. Car shipping companies in Ohio compete for your business, which is how you can save hundreds, if not thousands of dollars on car transport services by shopping with us. Whether you're shipping a car to Ohio, across the country, or even overseas, we can help you get the best price on your shipment - guaranteed! Read more about the following auto transport companies in Ohio before getting a quote. Click on the name of the company to read a full review. 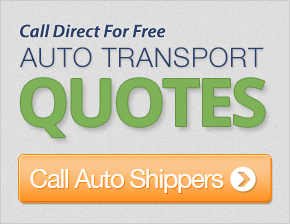 Get a free auto transport quote today to find out how much it costs to ship a car to or from Ohio! 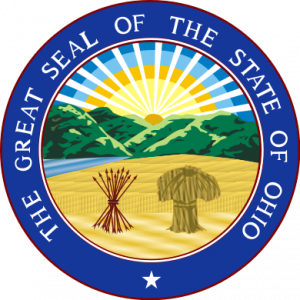 Almost undoubtedly, Ohio is one of the country's most important and integral states. Located in the Midwest, just east of Pennsylvania, Ohio has the seventh highest population of any state in the country. It's major cities, including Cincinnati, Columbus, and Cleveland, are well known across the country and have, at one point or another, been integral centers of economic, political, and social change. However, many of the state's largest cities have struggled in recent decades, as post-industrial America has struggled to adapt to a more service-based economy. As a result, the population size of cities like Cleveland has decreased, as residents flee to the suburbs and even other states. Today, perhaps the greatest asset Ohio has is the city of Columbus. Columbus has made a name for itself in the Midwest thanks to its diverse and very healthy economy, which stands in stark contrast to other Rust Belt cities. As the state capital, Columbus houses the majority of the Ohio government systems, which happens to be central Ohio's largest employer. Nonetheless, the city also contains the state's largest college, and the largest college campus in the nation: Ohio State University. With a celebrated football team and other sports programs, as well as a "Public Ivy" worthy education, OSU is a school that is the pride of Columbus residents. Finally, the city is very friendly to private businesses as well, with companies like Nationwide Mutual Insurance Company and American Electric Power headquartered there. Ohio's cultural influence can be seen in its dedicated sports fans, which follow the state's somewhat unfortunate teams (with the Ohio State State Buckeyes being a notable exception) through their ups and downs. For instance, the Cleveland Cavaliers had nearly unprecedented success during the 2000s with the help of LeBron James, a player who single-handedly transformed the franchise. After reaching the NBA Finals in 2007, and continuing to reach the playoffs each season, James left the team to join the Miami Heat, sending the team in a downward spiral. Still, the team's loyal fans have stayed faithful, despite the league's second worst record in the 2010-2011 season. Sports are not Ohio's only influence, however, as the state has significant political importance. In fact, in the recent 2012 presidential election, Ohio was a key battleground state won by President Barack Obama to lock in his second term as president. CarMoves.com works with car shipping companies throughout the state of Ohio. We can help you get the best prices on car transport services to the following cities in Ohio: Columbus, Cleveland, Cincinnati, Toledo, Akron, Dayton, Parma, Canton, Youngstown, Lorain and many more. If you don't see your city listed, don't worry - we can get your vehicle shipped anywhere in Ohio. Scroll to the quote section on this page to compare free auto shipping quotes from up to 7 Ohio auto transport companies and save up to 50% on your move! View the Ohio Department of Transportation website for more information.